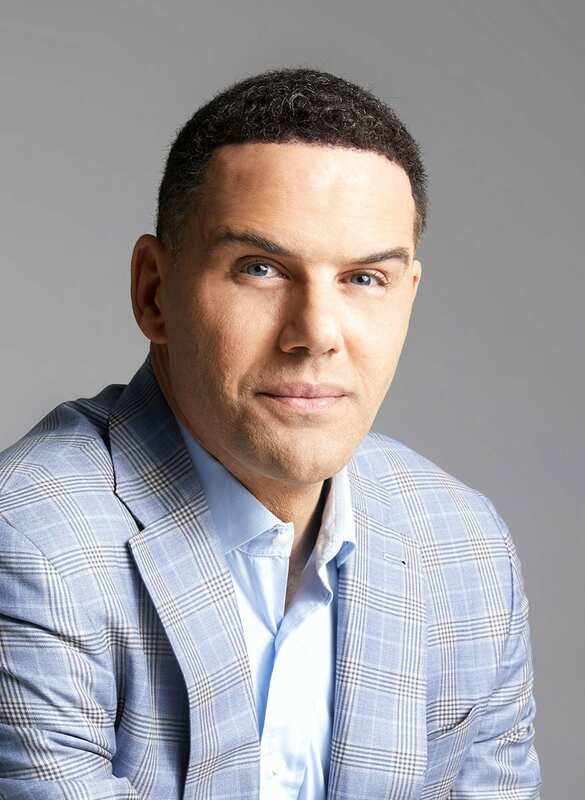 Steve Pemberton, a motivational speaker and human rights advocate who wrote a best-selling book about his journey from being a foster child in Massachusetts to becoming a college graduate and corporate executive, will present the Commencement Address at Providence College’s One Hundred and First Commencement Exercises on Sunday, May 19, 2019. The ceremony will begin at 11 a.m. at the Dunkin’ Donuts Center in Providence. 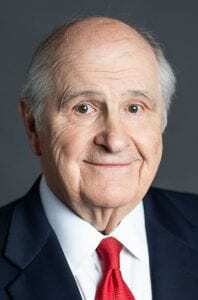 Pemberton will be one of six honorary degree recipients. The others include Sister Larraine A. Lauter, O.S.U., executive director of Water With Blessings, which provides filters for clean drinking water to communities around the world; Marta V. Martinez ’79, founder and executive director of Rhode Island Latino Arts, the state’s oldest nonprofit dedicated to Latino culture and art; Marifrances McGinn, J.D., the College’s first full-time general counsel and first female vice president; and John M. Murphy, Sr., a commercial and home loan lending specialist and founder of the Dr. Kenneth R. Walker ’57 & ’83Hon. Scholarship. A posthumous degree will be awarded to Dr. Stephen J. Mecca ’64 & ’66G, a long-time PC professor of physics whose research with students in sanitation, health, and education improved lives across the globe. Dr. Mecca died in August 2018. Pemberton has made equality, access, and opportunity the foundation of his personal and professional lives. He is the chief human resources officer for Workhuman, formerly Globoforce, the world’s fastest-growing social recognition and performance management platform headquartered in Framingham, Mass., and Dublin, Ireland. He works with HR leaders and senior management executives to help build workplaces where employees feel recognized, respected, and appreciated. Pemberton’s book, A Chance in the World: An Orphan Boy, A Mysterious Past, and How He Found A Place Called Home (Thomas Nelson publishing), published in 2012, chronicled his extraordinary search for his biological family. The memoir told of his struggle to overcome his experiences as a foster child in New Bedford, Mass. It has been translated into multiple languages and was made into a movie and shown nationwide in May 2018 to benefit children in foster care. Pemberton began his career as chief diversity officer for Monster.com. In 2011, he was hired to be the first diversity officer at Walgreens. From 2015-17, he was vice president, diversity and inclusion, for Walgreens Boots Alliance, where he furthered the company’s efforts to employ people with disabilities. He presented Walgreens’ employment model at the White House and on Capitol Hill. In 2015, he was appointed by U.S. Secretary of Labor Thomas Perez to serve on the Advisory Committee for the Competitive Integrated Employment of People with Disabilities. Pemberton received the Horizon Award from the U.S. Congress, presented to individuals employed in the private sector who have worked to expand opportunities for all Americans through their personal contributions, and who have set exceptional examples for young people through their success in life. He graduated from Boston College with a bachelor’s degree in political science in 1989 and is a member of BC’s Board of Trustees. He received an honorary degree from BC in 2015 and from Winston-Salem State University in 2014. Pemberton and his wife, Tonya, who have three children, founded A Chance in the World Foundation, which provides scholarships for deserving students. Sister Larraine A. Lauter, O.S.U. Since its incorporation in 2011, Sister Larraine’s Kentucky-based organization, Water With Blessings, has distributed more than 93,000 small, top-quality, lifetime water filters to more than 360,000 families in 47 countries, making clean drinking water possible for communities in need. The Sawyer PointOne filter is lighter than a cell phone, has no moving parts, and requires no batteries. It attaches to a five-gallon bucket through a tube. As gravity forces water through the tube and into the filter, disease-causing contaminants are removed, resulting in clean drinking water. The organization relies on a network of more than 93,000 women, “mothers and others,” who each pledges to use the filters themselves and to filter clean water for three families. Beginning in Honduras with a small team, Water With Blessings has expanded throughout Latin America, Africa, and Southeast Asia, and is working on an intensive program to eradicate cholera in Haiti. In 2014, it received an award of excellence from the Pan American Health Foundation for its innovative program to commission mothers as agents of clean water and compassion for their communities. Sister Larraine celebrates her 40th jubilee year as an Ursuline Sister of Mount St. Joseph in 2019. 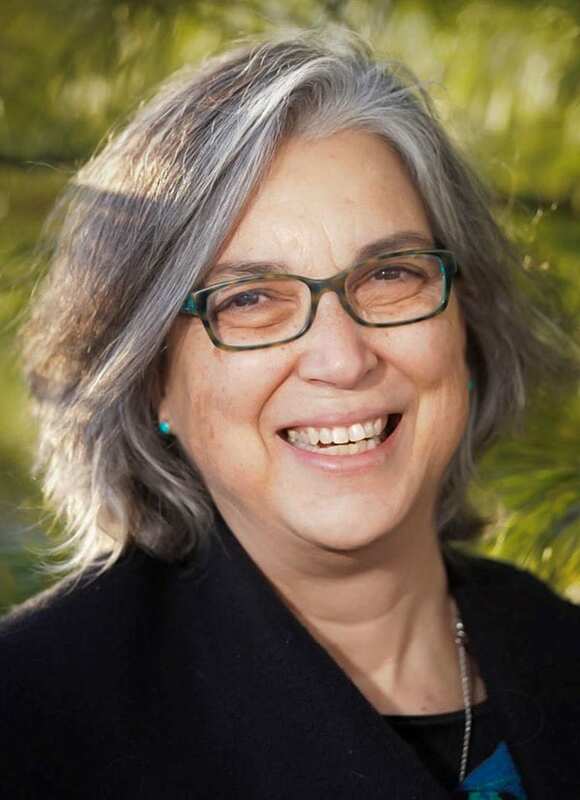 She has been a teacher, pastoral minister, environmentalist, fundraiser, advocate for migrant farm workers, artist, and musician, and was named Kentucky Humanitarian of the Year in 2018. Sister Larraine was born in St. Petersburg, Fla., and grew up near Louisville, Ky. She holds a master of theological studies degree from St. Meinrad School of Theology and a bachelor’s degree in fine arts and elementary education from Brescia University, which honored her with its Distinguished Alumni Award in 2015. In 1988, Martínez founded the Hispanic Heritage Committee of Rhode Island and hosted the state’s first Hispanic Heritage Week. The organization, now known as Rhode Island Latino Arts, has sponsored Hispanic Heritage Month since 1991. As executive director, Martínez manages the La Galería del Pueblo Cultural Center in Central Falls, home to artist talks, demonstrations, workshops, and poetry readings. 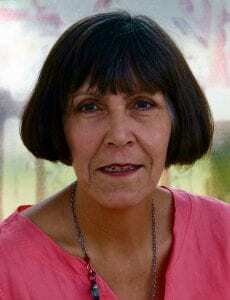 She founded Nuestras Raíces: The Latino Oral History Project of Rhode Island, which is housed at the center. Based on her work with the oral history project, her book, Latino History in Rhode Island: Nuestras Raíces (The History Press), was published in 2014. Martínez was born in Mexico and grew up in El Paso, Texas. She earned a bachelor’s degree in English from PC and a master’s degree in journalism from The George Washington University. She studied sign language and interpretation at Gallaudet University. In January 2015, Gov. Gina Raimondo appointed her to the Rhode Island State Board of Education, where she serves on the Council on Elementary and Secondary Education. She is a former adjunct faculty member in global studies at PC and serves on the President’s Community Advisory Committee. Martínez received the 2016 Public Humanities Award from the Rhode Island Council for the Humanities. She is a fellow in public humanities at the John Nicholas Brown Center for Public Humanities and Cultural Heritage, where she is undertaking research to support the designation of lower South Providence as the city’s Latino Cultural Corridor. Martínez and her husband, J. Patrick Youngs III ’78, have three sons, José, Miguel, and Pablo. They live in Warwick, R.I.
McGinn retired in February 2019 as vice president, general counsel at PC, a position she held for more than 20 years. She was the first full-time general counsel in College history, the first female vice president, and the first woman to serve on the President’s Senior Cabinet, which is the primary vehicle for administration and policy-making at the College. Before joining PC in 1998, McGinn was a partner for 16 years at McMahon & McMahon in Providence, where she also provided legal representation for the College. From 1980-82, she served as city solicitor in Pawtucket, R.I., the first woman appointed to a major municipal office in that city. McGinn is a member of the Rhode Island Bar Association, the Rhode Island Bar Foundation, and the National Association of College and University Attorneys. 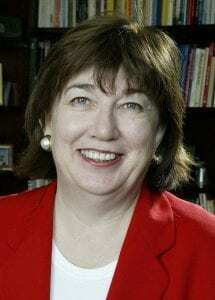 She serves on the Rhode Island Supreme Court’s Mandatory Continuing Legal Education Commission and the Rhode Island Lawyers Disciplinary Board. She is a board member at Sophia Academy, a school for inner-city girls in Providence, and was a member of PC’s Providence President’s Council. McGinn holds a juris doctor degree from Suffolk University Law School and a bachelor’s degree in history from Salve Regina University. She resides in Rumford, R.I., with her husband, Paul. They have two children, Vincent P. McGinn III and Katherine McGinn O’Connor. Dr. 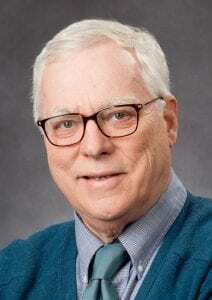 Mecca began teaching at the College as an assistant professor of physics in 1969 following his graduation from Rensselaer Polytechnic Institute with a Ph.D. in nuclear physics. He was promoted to associate professor in 1973 and full professor in 1979. During his career at PC, he welcomed students from all academic disciplines to join him in research projects to improve the world. Inspired by his granddaughter’s visits to Ghana, Dr. Mecca helped to found the Global Sustainable Aid Project in that country, focusing on education, health, and sanitation projects. Beginning in 2010, he brought PC students to Ghana each summer for community-based service internships. Through his efforts, more than 250,000 textbooks and many computers were donated there. A microflush toilet Dr. Mecca developed with help from his students has been installed in more than 20 countries, including Ghana. He also developed a solar-powered tablet loaded with a searchable database for use by health-care workers and students in areas without internet access. Dr. Mecca held many positions at the College, including vice president for academic administration, and was a major figure in diversity initiatives at PC. In 1976, to encourage urban children to study science, technology, engineering, and mathematics, Dr. Mecca helped to found TIMES² Academy in Providence. He also served on the Rhode Island Atomic Energy Commission. Dr. Mecca and his wife of 54 years, Linda G. Mecca, who predeceased him on May 5, 2018, had four children: Laura E. Ray, Lisa K. Sallee ’88, Stephen D. Mecca ’88, and Michael R. Mecca ’90 & ’92G. Two of Dr. Mecca’s brothers, Robert E. Mecca ’66 and Joseph M. Mecca ’85, also are alumni. Murphy is the founder, president, and CEO of Beara Capital, LLC, a specialty financing company based in Warwick, R.I. In 1974, Murphy harnessed his skills in real estate and insurance to purchase and reactivate the charter for Home Loan Investment Bank in Rhode Island. Over the next several decades, he grew the institution to a nationally-recognized, federally-chartered bank which became one of the first in the United States to securitize loans on Wall Street, eventually lending in all 50 states. His business success made possible his significant philanthropy. Murphy has donated more than $10 million to support charitable organizations in Rhode Island, including five endowed funds at the Rhode Island Foundation and the Dr. Kenneth R. Walker ’57 & ’83Hon. Scholarship at PC. He established the scholarship in 2008 to honor Dr. Walker, a teacher, coach, guidance counselor, and education professor who dedicated his career to helping urban youngsters. The award makes it possible for students of African-American heritage to study education at PC. Dr. Walker died in January 2019. Among many organizations, Murphy supports the San Miguel School in Providence and ARISE, the Alliance of Rhode Island Southeast Asians for Education, along with schools and hospitals in Haiti and Ireland. Murphy attended Bryant University and was awarded an honorary doctor of humane letters from the University of Rhode Island in 2005. He is a U.S. Army veteran of the Korean War. Murphy and his wife, Grace, reside in East Greenwich, R.I. They are the parents of four sons, Daniel, Brian, Kevin, and John, Jr.